We only have a public restroom at the office where I work and I can tell you that more than once I have left the bathroom dry heaving with tears running down my face. Other times, I leave just wishing I didn't have a nose! If you dribble on the seat, be a saint and wipe it off. No one enjoys doing that for you!! 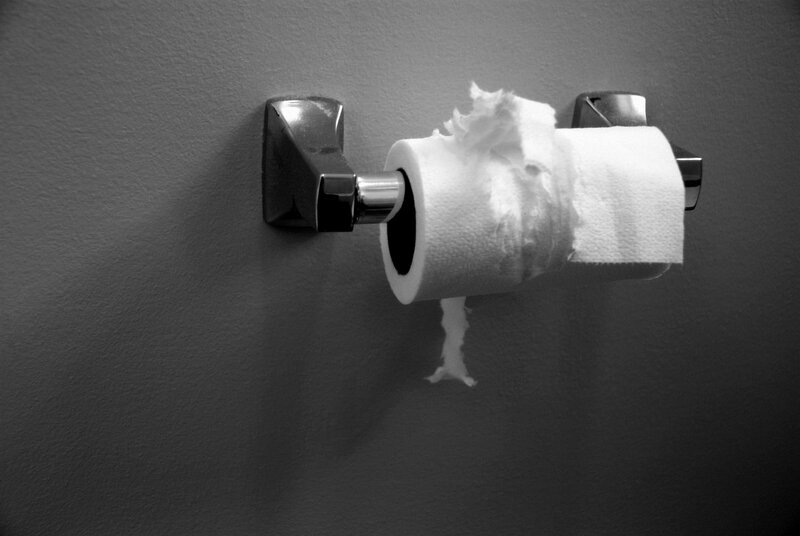 As a matter of fact, make it a point to ALWAYS check the toilet seat for anything you may have left "behind". If you have a massive explosion from your behind, flush the toilet fast! You may enjoy basking in your glory, but I can assure you that the faster your flush, the faster the aroma will leave for those of us that do not enjoy the unpleasant aroma! Even if it isn't a massive explosion, still, flush the toilet and then proceed to wipe! As much as I like conversation, the bathroom should be like the elevator where it is polite to not talk to anyone that enters. We can save the pleasantries for a time where someone is not thinking that they should have headed to the bathroom a minute earlier! Wash your hands! This should go without saying, but there have been so many times that I have heard the toilet flush, heard the stall door open, and then heard the bathroom door open without stopping at the sink. Gross, right?! Last, but not least, leave the stall door ajar so the next person doesn't stand in line for no reason. It's a pain to realize you have almost embarrassed yourself for no reason at all!! Now, we have all broken one, or all of these rules at some point in our lives, but as long as we try our hardest, I think more people can use the restroom without feeling awkward, sick, or just plain mad! Share this using the toolbar below or the buttons to the left. You never know who forgets some of these common courtesies!